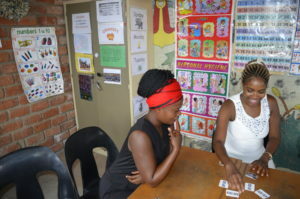 The Light for the Children Centre is the biggest child care facility in the Omaheke region. 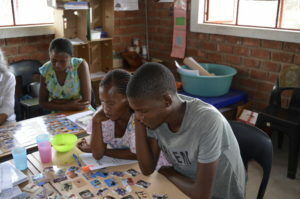 The Centre hosted a workshop attended by twelve pedagogues on the use of the Omaheke Memo. 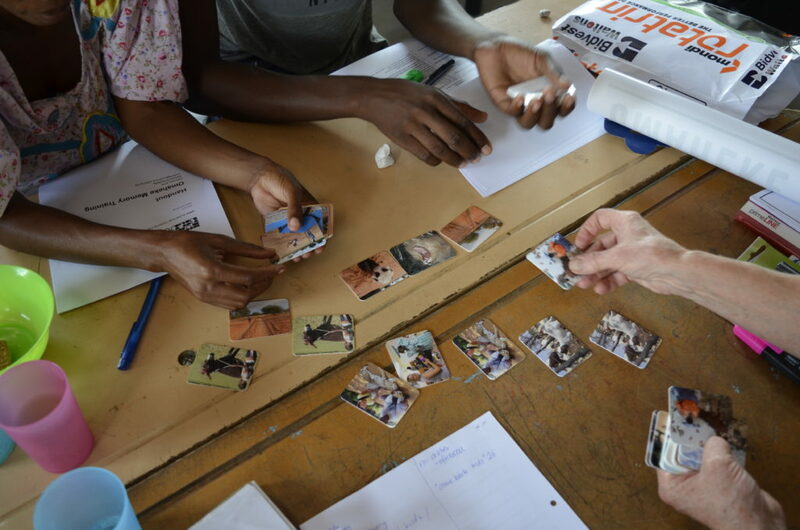 The participants visibly enjoyed themselves while playing the memory. 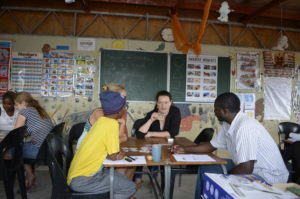 „This was one of our best workshops at the Centre“, said Gerard, the head of the workshop, after the training. A large number of Omaheke Memos was, together with various other learning materials, handed over to the Light for the Children Centre. Das Light for the Children Centre ist die größte Kinderbetreuungseinrichtung in der gesamten Omaheke Region. Hier fand mit zwölf Pädagogen und Pädagoginnen ein Workshop zur Nutzung des Omaheke Memo statt. Beim Üben hatten die Mitarbeiter sichtlich Spaß. „This was one of our best Workshops at the Centre“, sagte Leiter Gerhard nach der Trainingseinheit. Das Omaheke Memo wurde von Suni e.V. gemeinsam mit anderem Lernmaterial in großer Stückzahl an das Light for the Children Centre übergeben.